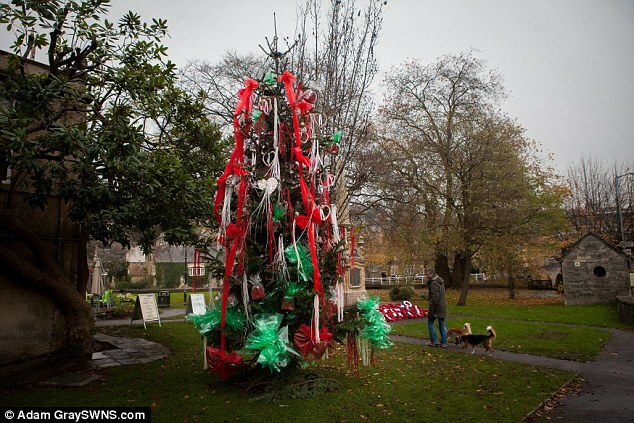 Whatever your views on the rather extravagant Christmas tree in Westbury Gardens this year, there is no doubt it has attracted the attention of the press, popping up in a couple of national newspapers and going viral on Twitter. Surely this is a missed opportunity… with so much attached the tree, we could have put on some of the leaflets that the tourist information used to give out! This entry was tagged bradford on avon christmas tree, Christmas tree, national press, tithebarn workshops, tourist information. Bookmark the permalink.